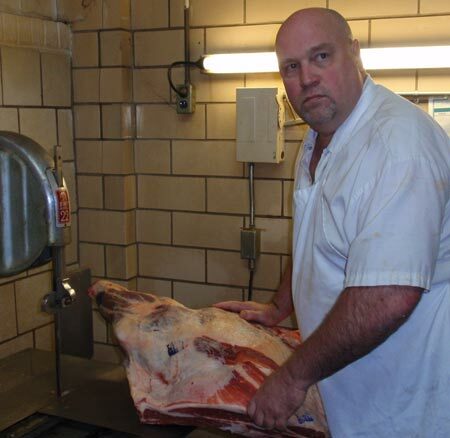 At Old World Meats, we cut meat the old fashioned way. We often get questions about which type of steak is best and why there is such a price difference. We will show you the different cuts and let you decide which one suits your taste and budget. 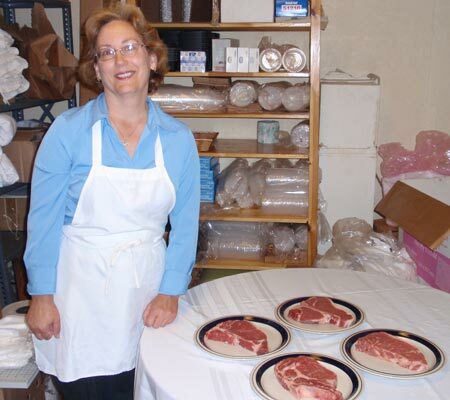 Each steak is cut and trimmed. 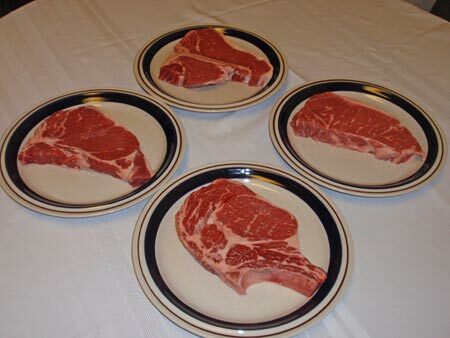 Ask your butcher to cut your steak to the thickness that you like. Here are some of the different cuts. All of these steaks are great for grilling. We will start with the Boneless strip steak; it is near the top of the price range, because it's nearly all meat with no bone. Watch to make sure it has some marbling so it will be tender when cooking. Next, we have the Porterhouse - "the King of steaks". This steak comes from the beef loin and it actually has 2 parts, one is the strip and the other is a very large filet. It is priced nearly the same as the strip steak. Next, we have the T-Bone, it is typically a smaller steak, that also comes from the beef loin and has a smaller filet attached. You will see the shape of the bone look like a "T". Next we have - aah, the Rib Steak, it comes from the front quarter. These steaks are very tender due to the marbling you see throughout. When the bone is removed, it's known as a Rib Eye or a Delmonico steak. An economical steak, is the sirloin. It also comes from the beef loin. It is a large steak, that has a bone, and a small filet. This is a steak that is good for many types of dishes, not just grilling. The filet mignon is the most expensive and is usually cut thick and grilled to perfection. So now you know- pick the one that suits your taste and fits your wallet. Watch the short video below to see Ed cut a steak and Sharon explain the different cuts.